New Product Development Process | How to Plan Product Development? Home Business What is New Product Development and How to Plan This Process? The engine for development of your business is obviously your products. They solve some specific consumer issues, inspire you to keep growing, and finally bring you money. For better or worse, in the modern world your brain children grow up too fast and their life cycle becomes shorter and shorter. In order to stay relevant in the market your company should always be up to date. And sometimes this means that you have to develop a brand-new product. Well, if the planning of product development leaves your head spinning, this article is definitely for you. Roadmap Planner team has done an extensive research and prepared detailed information about what a product development process is and how to put it into practice. Let’s answer all your whats and whys! 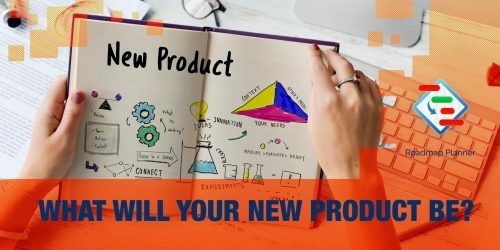 What is new product development (NPD)? NPD is the process of establishing a new product, from concept generation to market launch. In simple terms, it is nothing more than the set of actions that puts your idea into effect. The development includes a number of stages that any new product experiences. These stages can vary depending on the specifics of the market and your business. 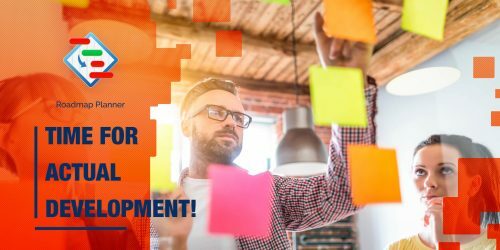 What are new product development stages? Over the years, the number of stages increased to 8 and this model remains relevant even today, in 2018. Most importantly, you should not only follow the stages, but also register them in a top-notch tool like Roadmap Planner. 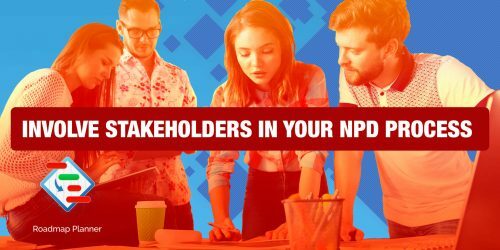 And don’t forget that, in addition to NPD, there are a lot of other processes that make up the success of a product, such as conducting market analysis, creating marketing strategy, elaborating PR program, and pricing plan. This is the very beginning of your development journey. This step involves brainstorming and coming up with new ideas. Your ideas should be based on market trends and on SWOT analysis of your company. We’ve already told you what SWOT analysis is in our previous article. In a nutshell, you inspect the strengths and opportunities of your company that would help you to reduce weaknesses and avoid threats. At the end of this step you will have a list of innovative ideas. At this stage of the NPD process, you should analyze all your new ideas and filter out the ones that are not worth your attention. This step is also called screening and the key point is to set a number of criteria for your ideas. These criteria will help you to examine them and decide what you should do with each: to leave and develop or to throw away. The criteria can include market potential, existing competition, and profitability. They have to help you to choose the one idea that you are going to put into practice. This stage of NPD involves your customers as you need to test your concept with them. The common way to do this is via a consumer survey in which you should find out if your clients understand your product, and what they think about it. At the end you will identify your customers’ needs, take them into account during product development, and know for sure what your product will look like. When you know what product you are going to develop, you should ensure that it fits into your business strategy and develop a system of metrics. This system will help you to paint a picture of the progression from marketing strategy to the anticipated income. Your metrics can include development time, percentage of sales, and measuring product value. It’s high time you started the development itself. At this stage you should create a beta version of your product and get prepared for real consumer testing on stage 6. Complete your design, implement the planned set of features, and finish the content of your product. Let the Q&A team test it and move on to the next step. Now you need to create your consumer test group and provide them with your new product. This stage will help you to collect honest feedback about any issues you need to fix. Don’t panic if the number of problems seems too big for you. Learn from them, fix the issues, and move on. This stage will help you stay on the right track. You’re on the home stretch! This stage of the new product development process is about determining pricing and finalizing marketing plans. This means you must focus on your sales and distribution teams. Decide on final prices and keep your distribution spots loaded. Also, don’t forget about your technical support. They have to be on the lookout to monitor customers’ needs and (arguably more importantly) work with negative feedback. Finally, your NPD process has reached an end. By now your launch plan should be ready. It has to include the completed product, market analysis, target audience, marketing strategy, PR program, and pricing plan. Got it? Launch the product, you are finished. Hurray!